Milk Tart (also known as Melktert) is a traditional South African dessert. 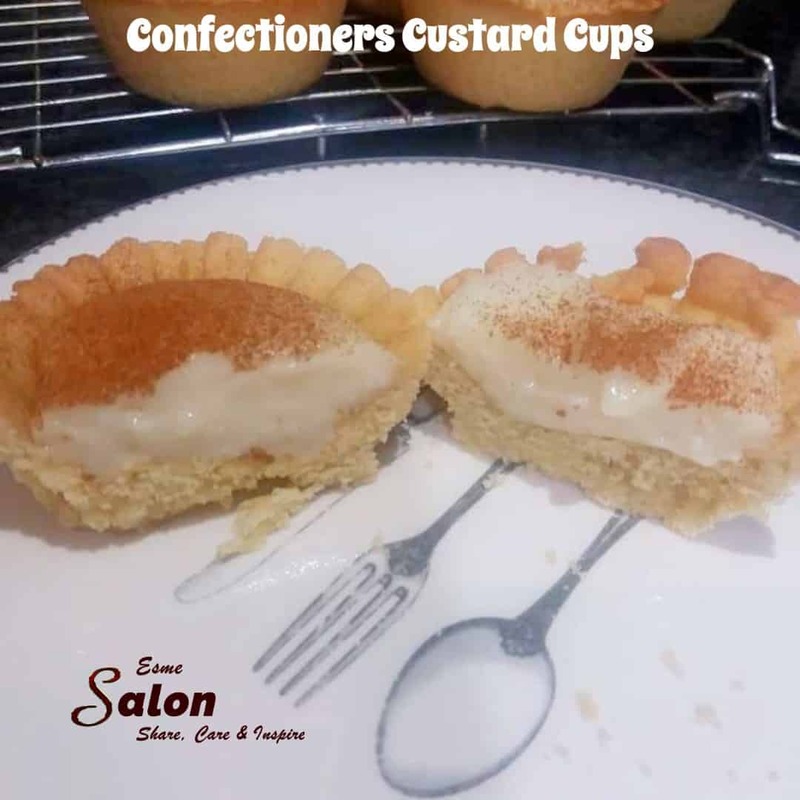 The crust is a soft, cakey crust topped with cinnamon-infused milk custard, and can also be called Confectioners Custard Cups. 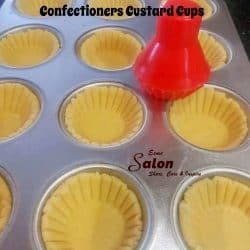 Boil milk, sugar, butter, and salt. Mix the flour and maizena into a paste with a little water. Add the flour paste to the milk and stir till it thickens then remove from heat. Fold in the whites and leave it to cool, add vanilla essence and mix.. Pipe or spoon the custard into the cold cases and sprinkle fine cinnamon over. Looks good. 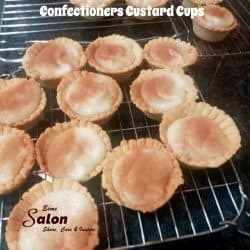 I think I will try making them.